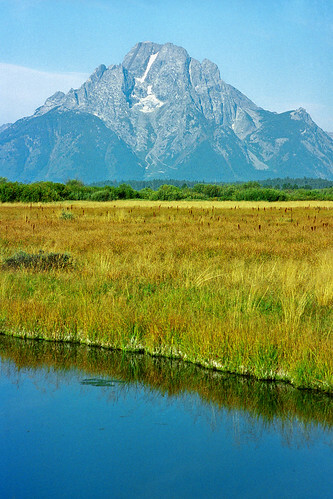 One day while we were in Grand Teton, we hiked out into Willow Flats in search of moose. (We never saw any.) But along the way I took this photo, which has always been one of my favorites from this trip. This entry was posted on October 15, 2008 at 8:19 am and filed under Grand Teton, Grand Teton National Park, Mount Moran, mountain, National Park, vacation, Willow Flats, Wyoming.